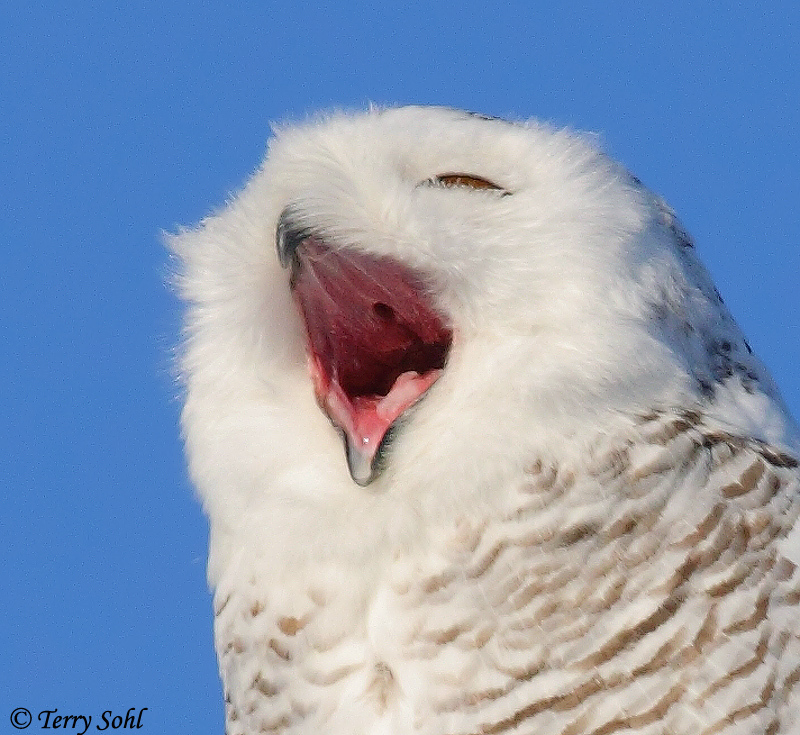 This photo of a Snowy Owl was taken on February 2nd, 2014 on the outskirts of Sioux Falls, South Dakota. Another pose of him yawning, this time a close-up. Photo taken with Canon 50D, 400 5.6L lens.